With the charm of a boutique hotel , the Villa Cortes offers guests very spacious bedrooms and a good location by the sea. The decor is really striking, contributing to the Mexican feel of the hotel. 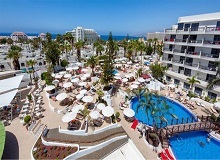 Playa De La Americas, Playa Paraiso - 5 Star. The breathtaking ocean views, the heated infinity pool, the beauty of the minimalist style and the wide range of sport and wellness facilities turn this five-star hotel in the ideal holiday resort for families and active couples. Playa De La Americas - 4 Star. Facing the sea in Playa de las Americas, with direct access to the promenade, H10 Conquistador has just been revamped, giving it a very bright and modern design with a maritime feel. With a Health and Beauty Centre and a wide variety of gastronomic options, including new eateries such as the Italian restaurant La Vita e Bella and the specialised coffee shop Mike's Coffee. 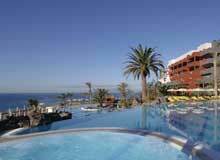 Situated in the centre of Playa de las Americas, the most famous resort in Tenerife. 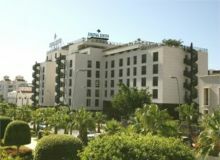 This four star hotel was refurbished in 1998 and combines a friendly atmosphere with excellent service. This recently refurbished popular hotel is renowned for its great location and its magnificent gardens. It's the perfect choice for couples who want a romantic getaway or friends in need of some rest and relaxation. By day, soak up the sun around the stylish pool. By night, watch the sun go down at the chill-out bar and terrace where the ambiance is relaxed and the drinks are flowing. 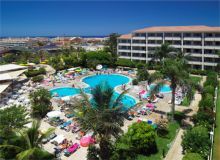 Expansive hotel complex set in tropical gardens, surrounding a pool, 300 meters from the beach, in Playa de las Americas' pedestrian area. In a modern 7 floored building, with spacious and elegant halls, the traveller will find comfortable and tastefully decorated rooms, taking care of even the smallest detail, in order to satisfy even the most demanding guests. 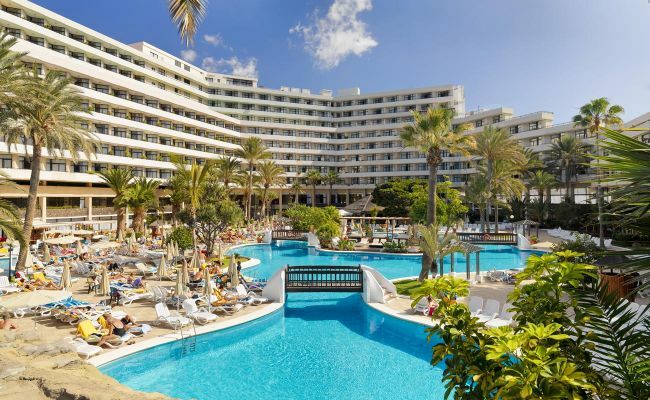 Situated just 300m from the fine sandy beach of 'Las Vistas, this exclusive 4 star beach hotel is ideal for those who wish to spend a holiday in the island of Tenerife, featuring great beaches and a moderate climate, with sunny days all year round. An award winning friendly hotel with plenty of entertainment and activities to ensure you have a wonderful time. Chill by the pool, get involved in the daily activities or exploring the nearby shopping area with plenty of bars and restaurants. Modern and sophisticated rooms, a fantastic pool area with a waterslide and an amazing children’s adventure park with 95 activities. Playa De La Americas - 3 Star. 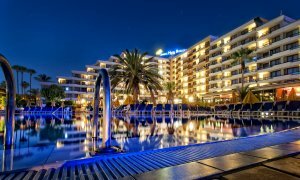 Hotel Andorra is located in Arona's Playa de las Americas neighbourhood, close to Los Cristianos Beach, Troya Beach, and Magma Art and Congress Centre. Nearby points of interest also include Siam Water Park and Torviscas Beach. Families and couples alike will love the fantastic and lively atmosphere at this large complex of modernâ€š Moorish-style apartments. 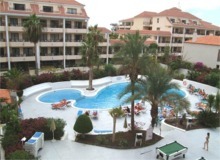 This apartment complex is located in the very centre of Playa de las Americas, around 100m a way from the sea front promenade and very few meters to different restaurants and shopping centres. The Parque de la Paz is a modern complex set in landscaped gardens. 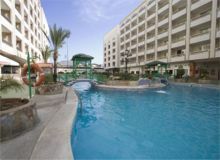 The accommodation is made up of both one and two apartments with a choice of self catering and all inclusive facilities.